When he asked me if we could go somewhere quieter to talk, I suddenly heard Corina's voice in my ear from earlier that night. "Well, with a dress that shows cleavage like that, you're sure to catch a guy's attention!" I nervously tugged my hair forward to hide all the exposed skin. 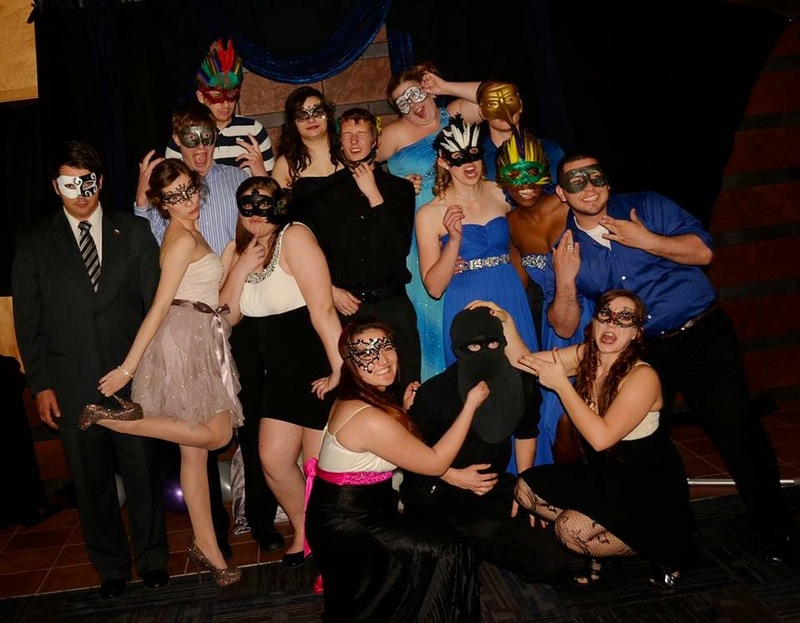 It was Saturday night, and I'd been dancing the night away with friends at Senate's Masquerade Ball. We'd been toiling towards this night for a couple weeks now, and despite some bumps in the road, the night had arrived and it was a success. Everyone showed up looking amazing, the food was plenty, and the music was hot. After the inital shyness, most everyone was out on the dance floor having fun. For the first part of the night, I'd been dancing with friends and just forgetting all my inhibitions. While twirling about, I'd noticed the lanky guy nearby who kept glancing my way. I paid him no mind however. Later, I had to do a shift at the food table to help out, and while I was there, he approached. "Why aren't you out there dancing?" he shouted over the music. "I have to help out with the food!" I shouted back. "Oh, well when will you be free?" I hesitated, but then..."Sure, why not?" He seemed rather youthful in appearance, though he was tall and adorkably handsome in his button up shirt, vest, and tie. Plus, he was rocking some cute glasses, so how could I turn him down? We danced on the floor a bit, shouting conversation back and forth. Finally, the shouting match became ridiculous and he asked if I wanted to go somewhere quieter to talk. We drifted upstairs where the ear blasting music lessened to more of a thrum, and sat at the piano the college kept in the corner.Suddenly, his lovestruck gaze became more obvious and unnerving without anyone else around. I smiled back at him nervously. "So no other guy has asked you to dance tonight? Really?" "That's shocking, honestly. You're so beautiful." I tugged on my mask, grateful that at least it hid part of my face. "Well thank you. Aha, a fancy dress makes everyone look a little more glamorous." We talked some more, his soft blue eyes never wavering from me. He was younger than me by a year, and his endearing, youthful attentiveness charmed me. His ambition was certainly impressive as well, with his goal being to get an Engineering degree and join the Navy. A slow song drifted up from downstairs, and he held out his hand towards me. Though I initially stalled by saying that perhaps the next one would be better, he insisted, and I took his hand. He pulled me right up against him, and we shuffled back and forth in a circle. It was a sweet moment, and one I'll keep tucked away in the memory bank. However, when the song ended, I felt antsy and awkward. The need for escape suddenly clamped onto me. I needed to get away. "I really need to get back downstairs. I came here with a friend and I don't want it to seem like I abandoned her." He seemed uncertain how to take my sudden rejection. Still, he asked for my number, and I gave it to him. The rest of the night, I was floating on a cloud. It's been too long since a guy has looked at me that way, and his attention unnerved me. I've realized I'm more comfortable with the idea of invisibility. However, I suppose wearing such a pretty dress makes that a bit more improbable. What this encounter made me realize is that I don't know what I want. While this boy's attention made me feel that nervous excitement I haven't felt for a while, I wasn't comfortable being alone with him. 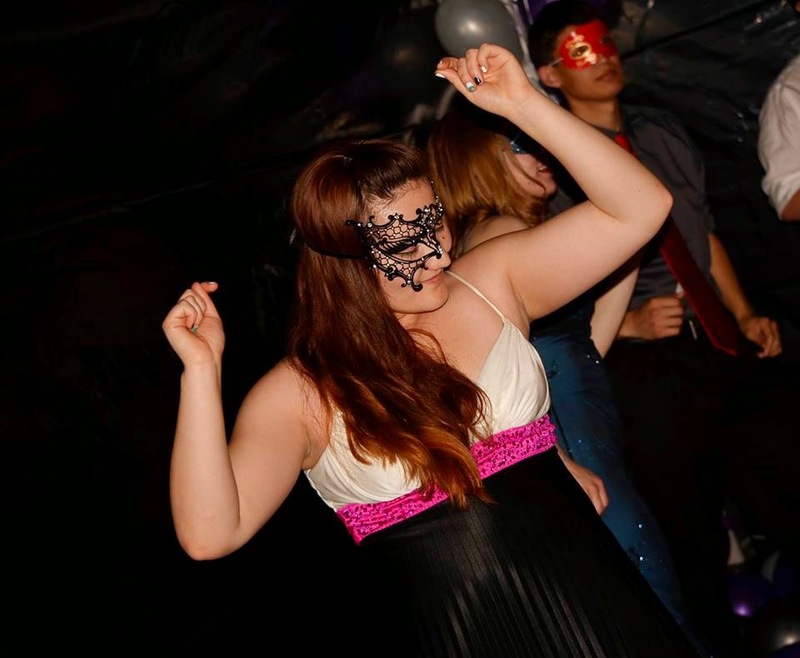 I felt happier and more at ease when I was on the dance floor with my friends and not being a bit concerned with what someone else might think of me. I felt more free then. Perhaps the lesson of the night was that I'm not ready to be involved with someone. It was a flitting and brief moment, but it made me realize I still am not ready to be tied down just yet. I'm all for meeting people and keeping things casual though. However, I have a bit more exploring and self confidence to build before I can even entertain the idea of a relationship. Haha, that's how it seems to go! For better or worse though, I enjoy sharing these moments and being able to reflect and learn from them. Until next time Dragonistas! Tomorrow I'm going to see Ellie Goulding live (EEEEEEEEEE!!!! ), so I'll be absent for a few days - have a beautiful week and I'll have updates about the concert when I get back! Awesome! Looks like so much fun! Awww, how sweet! Poor guy, though haha. Looks like such a fun night! And it's no wonder he hit on you; you look gorgeous! your story was like a novel. I couldn't wait to read more! Have a great time seeing Ellie Goulding!! Fun! looks like you had a wonderful time there :) and I have to say I have missed posts like this one here from you. the romantic ones I mean ;) they're always such a pleasure to read, very well written! Your mask is absolutely GORGEOUS! And you look fab. It's good to realize that that may not be what you want at the moment. Not everyone is as in tune with their feelings as you are! Love reading your posts. You'll know when the right guy comes along, 'till then have a great time meeting new people. Looks like you had a marvellous time and you look lovely, The mask is so cool. Ooo a romantic masquerade moment?! I've always wanted to go to a masquerade ball!! Love your mask!! Sometimes it can be very comfortable if another person is staring at you all the time while being a little too persistent. While it is flattering, I can totally see why you wanted to get away! You looked so pretty by the way! Aw, Linda! Well, that encounter does sound a little lovely, but I'm glad that you ended up going back down... if something feels off, then something feels off, and you gotta stick with that. I'm so proud of you to sticking with what your guts tell you. Also, younger guys... not to put them down, but girls really do mature a lot faster than boys. ;) His staring would have made me totally uncomfortable, too. Too much dedication too quickly can be a little weird and disconcerting. Go you! I'm glad that you still had fun at your party, though! Your mask is absolutely PRECIOUS and you look lovely! I'm glad that you peaced out the minute you felt uncomfortable! But you looked fab (the dude had a point there) and it looks like the dance was a lot of fun! Ok, I'm being nosy. Did he call? HaHaHa Linda, you looked absolutely beautiful doll. That mask and dress looked amazing on you. Love the pop of pink. You looked exquisite. 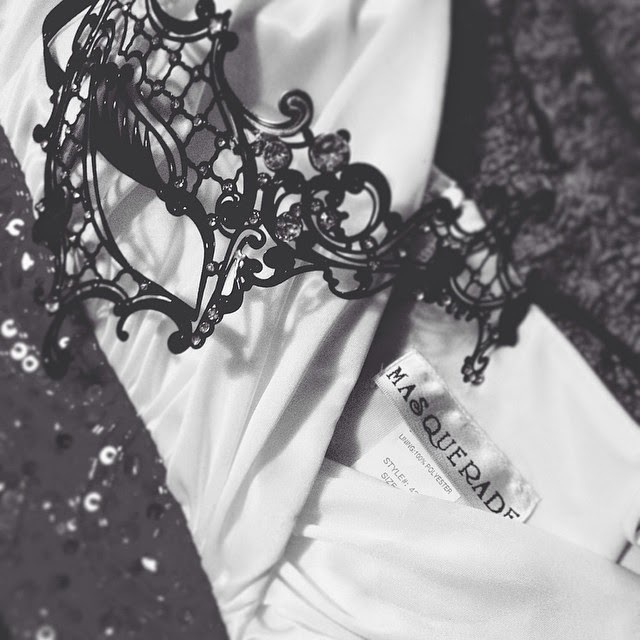 Masquerade balls and such are always so alluring. I always think Phantom of The Opera. LOL Your prince will definitely come one day doll. Just keep moving forward and enjoy the ride. Hey Linda! Love the mask! I hope you find the right you for you in the future ♥ Looking forward to hearing more about your love life haha! I love the little stories you write to go along with all your outfits. You're fantastic with words. Looks like a super fun night. Your mask is so pretty. omg this is such a cute story Linda! and you look beautiful, cant wait to hear more romance stories! Really enjoyed reading this post. I like your mask as well. Ellie Goulding is wonderful live, so , so I hope you enjoy yourself! oh wauw a masked ball! You mask is gorgeous. This was beautifully written. 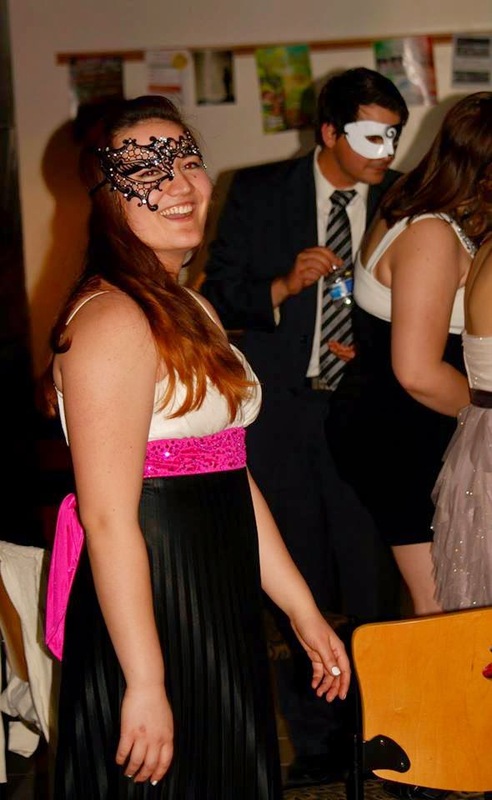 As cheesy as it is, I've always wanted to go to a masquerade. So jealous, it looks like fun!